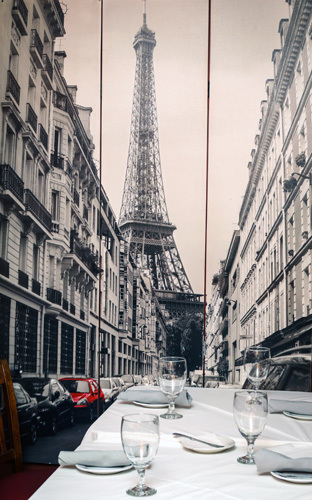 What do you call an elegant restaurant that specializes in cuisine from the French and Italian Rivieras? 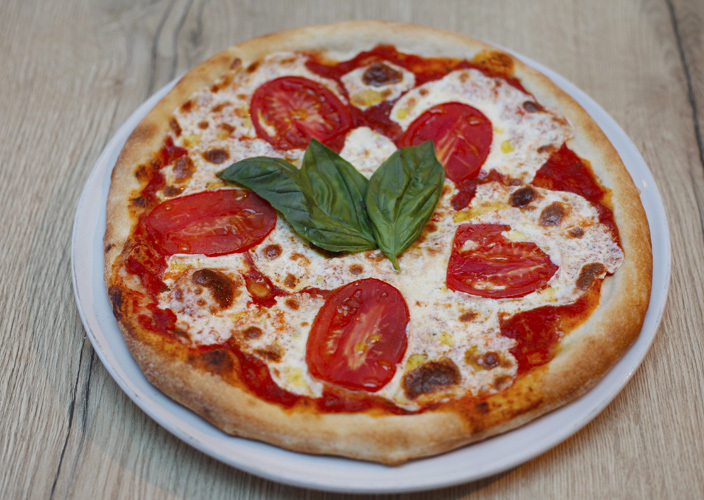 A Mediterranean ristorante, of course. 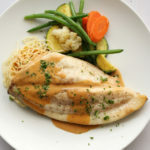 And a Mediterranean ristorante that on some evenings also serves authentic Polish specialties? Why, you call it Ristorante Di Mare. 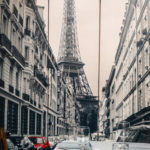 For the past several years, Chef Jean Zana has been supplementing his excellent French and Italian creations with homemade Polish dishes produced by his wife Edyta’s mother. (Edyta runs the front of the house). 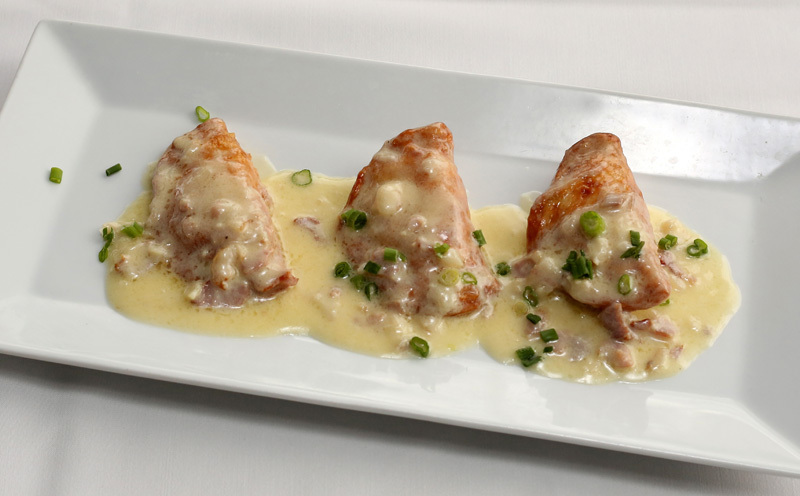 These are the kind of Polish dishes that those with ancestors from the old country yearn for. So when we visited last week, we were excited to see both homemade “pierogies” ($14) and “mama’s cabbage roll” ($13) on the evening’s list of special appetizers. 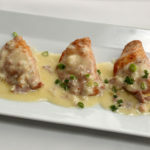 The pierogies – Polish dumplings stuffed with mashed potatoes and farmer cheese – are served here with something resembling a carbonara sauce that may be even better than the traditional sour cream. Delicious. And the cabbage roll, in Poland called golumpki or golabki, was the real deal – stuffed cabbage leaves, filled with ground pork and seasoned rice, topped with a creamy vodka sauce. Heavenly. But then we turned to the main menus, and the dishes that Chef Jean does so well. For entrées, from the French menu I chose the veal forestiere ($35) and my husband opted for the Canard a l’orange ($37). The Italian dish our party decided to sample was one of the evening’s special entrées, the fresh pompano ($42). My veal was sauteed in a brandy cream sauce with wonderful exotic mushrooms, and was served with jasmine wild rice and a vegetable medley. 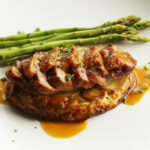 My husband enjoyed his sliced breast of duck, topped with a Grand Marnier blood orange sauce, and served on a bed of potato gratin with asparagus. 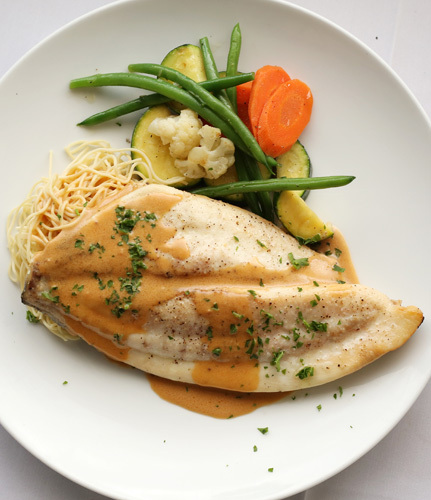 But while the French dishes got high parks, there were raves for the baked pompano, which was topped with a lobster beurre blanc, and served with angel hair pasta and sautéed vegetables. By this time, we were too full for dessert, but decided to share an order of raspberry and blueberry bread pudding anyway. We were glad we did. It was one of the best bread puddings I have had in quite some time, very light and tasty. 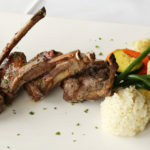 French or Italian, there are a lot of good things going on at di Mare, which seems a bit classier with each passing year. If you haven’t been there recently, you owe it to yourself to give it a try. And if you don’t want to be hooked, stay away from the pierogies. 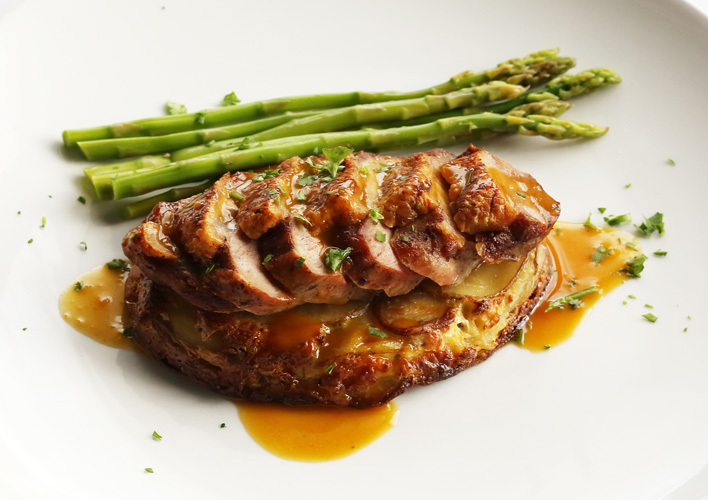 Hours: Open 7 Days at 5 p.m.
Di Mare Vero Beach restaurant review: Duck à l’orange. Di Mare Vero Beach restaurant review: Pompano. 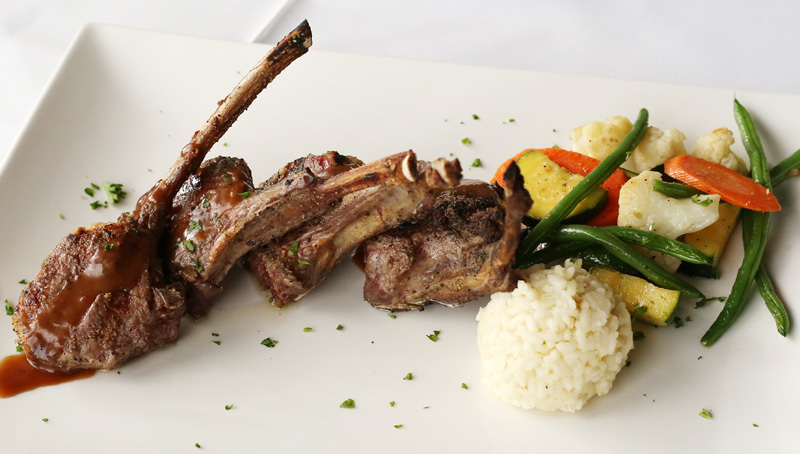 Di Mare Vero Beach restaurant review: Lamb au Porto. Di Mare Vero Beach restaurant review: Perogies. Di Mare Vero Beach restaurant review: Restaurant view.